Now $50 off - hurry, limited time offer! The Smittybilt Jeep Neoprene seat covers are the ultimate combination of functionality and style. 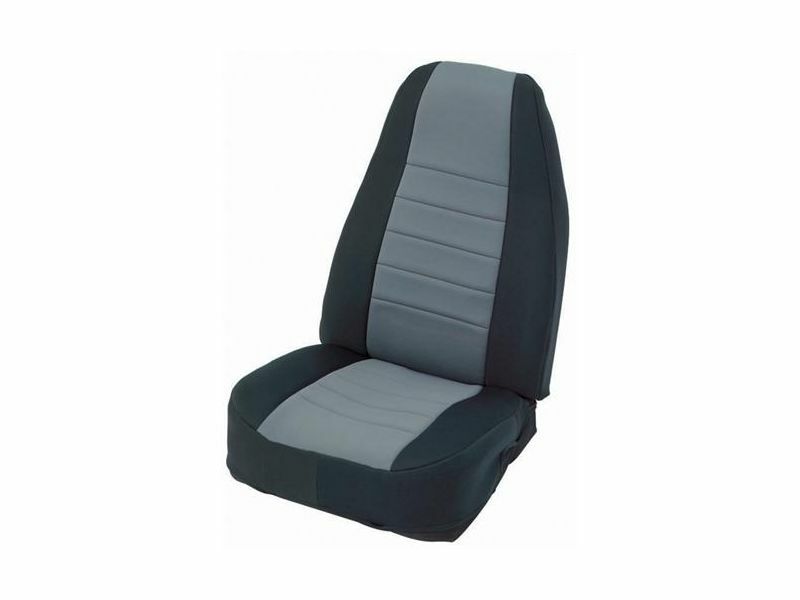 They are custom fit to cover up old, worn out seats or keep new ones in perfect condition and provide added comfort. Crafted from 100% breathable Neoprene fabric, you can be sure they are highly durable and impressively comfortable. The center section is padded and pleated, which makes long trips easier. No need to worry about spills because they are waterproof and stain resistant. They are easy to spot clean and can be removed to be hand washed. Perfect seat covers for active lifestyles and come in multiple color choices to match your style. Available in black with red, tan, charcoal, and black inserts. Installation is easy as there are no tools required. You simply remove them from the box and pull over seats. Whether you need seat protection from kids and all their candy, or you're trying to cover up old seats, the Smittybilt Jeep Neoprene seat covers will exceed your expectations.